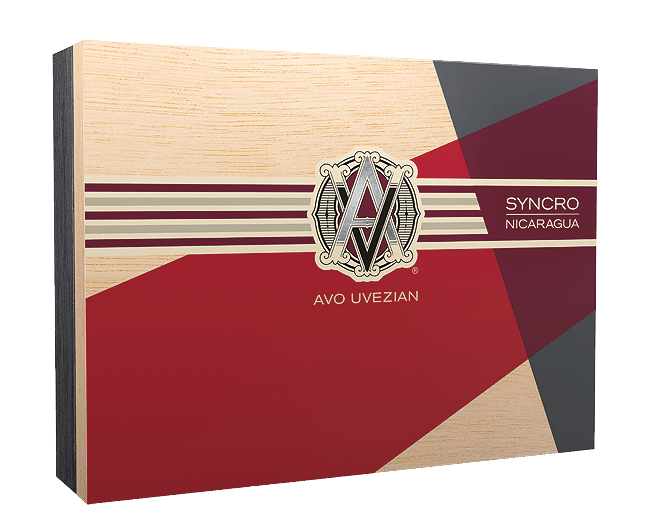 Avo Syncro Nicaragua | Chicago's Pipe, Cigar & Tobacco Store | Iwan Ries & Co.
ON THE ISLAND OF OMETEPE, IN THE RICH SOIL THAT LIES BENEATH ONE OF NICARAGUA’S MOST ACTIVE VOLCANOES, A UNIQUELY SWEET AND SPICY TOBACCO IS GROWN. KNOWN FOR ITS WILD CHARACTER AND PEPPERY NOTES, AVO CIGARS CAREFULLY BLENDS THIS NICARAGUAN TOBACCO WITH ONLY THE FINEST DOMINICAN LEAVES, FAMOUS FOR THEIR EARTHY FLAVORS AND SOFT, CREAMY NOTES. THIS FUSION DELIVERS A PERFECTLY SMOOTH AND BALANCED BOX PRESSED CIGAR WITH UNEXPECTED DEPTH AND COMPLEXITY - AN EXCEPTIONAL CIGAR TO BE ENJOYED AND SHARED. • INSPIRED BY THE COSMOPOLITAN LIFESTYLE OF CIGAR LEGEND, AVO UVEZIAN. • THE FIRST BOX PRESSED CIGAR LINE FROM AVO CIGARS. • A UNIQUE BLEND THAT OFFERS SPICY AND PEPPERY FLAVORS, PERFECTLY IN SYNC WITH EARTHLY AND CREAMY NOTES. • CRAFTED FOR CONSUMERS THAT ENJOY THE WILD CHARACTER OF NICARAGUA TOBACCO WITH DOMINICAN COMPLEXITY.